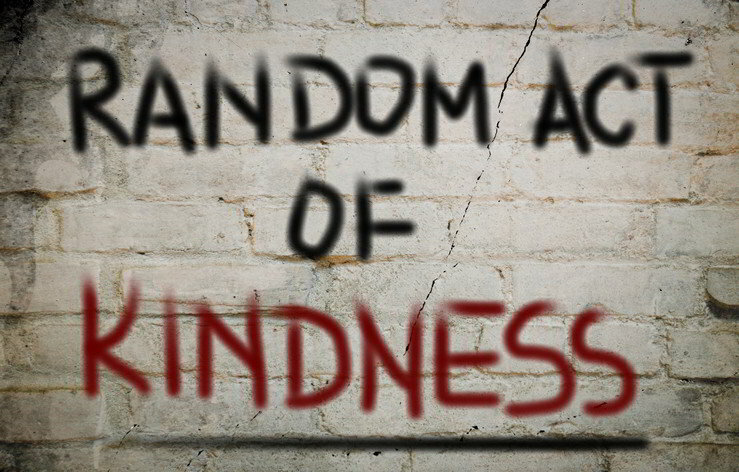 The name Random Acts of Genealogical Kindness is a bit long winded but the concept behind it is nothing less than pure genius. If you have never heard of the website www.raogk.org, I want to make you aware of this innovative service based on the marriage of those with a genealogy research need and volunteers able and willing to lend a hand. In order to be a truly valuable service, it must solve a problem that people commonly experience in the real world. One of the biggest problems genealogists face today is that the records we need most have not been digitized and made available on the Internet. In fact, Ancestry.com estimates that only about 5% of the entire universe of records have been indexed and been made accessible via the web. Records are generally stored in repositories that are close in vicinity to where the ancestor lived and not particularly convenient for a family researcher to get their hands on. When faced with traveling a long distance from home to get a record, most genealogists hit a research roadblock that stalls their effort right in its tracks. Sometimes the only way to obtain a copy of a record is to travel to the repository where it is stored and make a request in person. If the repository is located far away, out of state or even out of the country that normally presents a challenge big enough for a casual genealogist to give up. In some cases you can write for a copy or hire someone local to the repository to do a record lookup for you. Certainly these options should be explored before considering traveling there. Researchers have a host of reasons for not making a research trip including not having financial wherewithal, lack of knowledge, poor health or plain old fear of failure. Regardless of the reasons, the Random Acts of Genealogical Kindness website just may hold the solution to this most vexing problem. For situations like the one described above where a request must be made in person, the Random Acts of Genealogical Kindness website attempts to bring together those with a research need and volunteers who live in the area where the work is to be done. Requests are not limited to record look-ups, but other tasks like taking a picture of a cemetery grave or other landmark can be requested. Sounds to me like a match made in genealogical heaven! Although the website is free to use, users must register in order to use the service. The requester is also responsible for reimbursing expenses incurred in the execution of the task such as: postage, copier/printing fees and even parking. Labor hours to perform the task are not charged to the requester. To make a request, just go on the www.raogk.org website and locate a volunteer who resides in the area of need. Do not make a request if you live within travelling distance (up to 50 miles) of the repository. It is unfair to expect someone else do what you are perfectly capable of doing yourself. Click on the volunteer’s name and fill out a request form and submit. Also note that you should only ask for look-ups on one or two ancestors; any more than that would be considered abuse of the volunteer’s goodwill. Additional requests can be made in subsequent months if more look-ups are needed. The volunteer is allowed up to two weeks to indicate whether they will be able to honor your request. Volunteers who sign up for the service agree to do a free genealogy research task at least once per month in their local area as an act of kindness to their fellow genealogy researchers. Their payback comes from the warmth and satisfaction of helping others. If you find your genealogy research at a standstill because you are unable to conduct a research trip, give the Random Acts of Genealogical Kindness website a try. There is no guarantee that you will find a volunteer willing to do your research, but it is certainly worth the few minutes it takes to look. Being that there is no cost to use the website, you have little reason to not register. If you want to use your research skills to help others in their genealogical pursuit, then consider signing up as a volunteer.